It's no secret that I like to make my own sensory tools for my kids, from sensory swings, a sensory tunnel, stretchy bands, and a light table. My oldest J is a sensory seeker who seeks for vestibular and proprioceptive input. So here are 25 insanely awesome sensory hacks for kids with autism and/or sensory processing disorder. 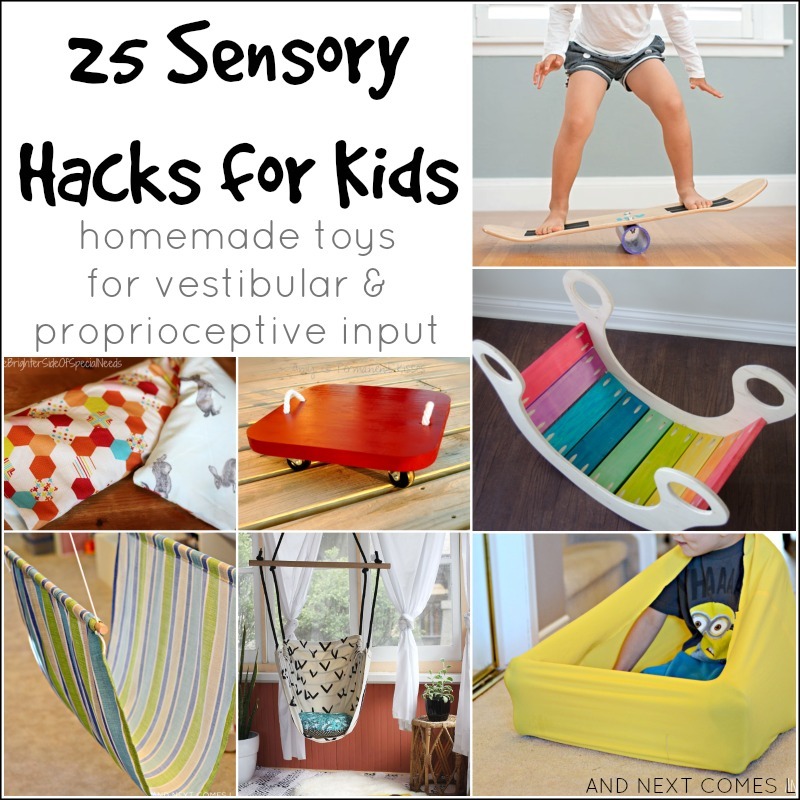 Each hack focuses on providing vestibular and proprioceptive input. Plus, they're a fraction of the store-bought alternatives. 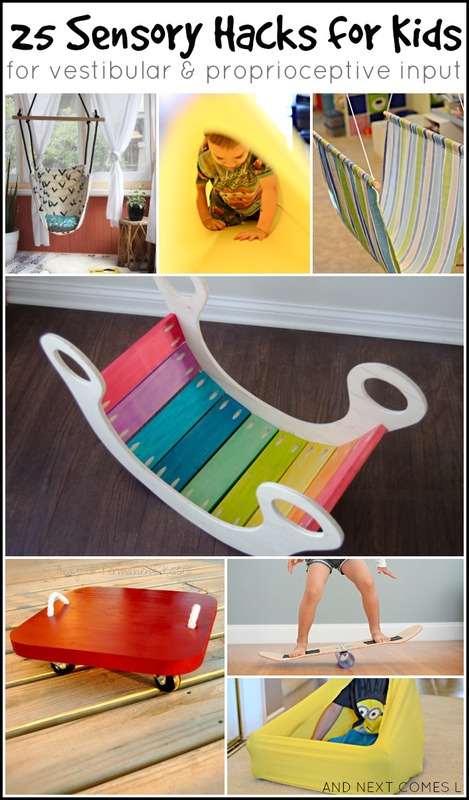 From sensory swings to balance beams to scooter boards to a gorgeous rainbow rocker, these genius hacks are sure to delight your kids! Sensory Toys for Vestibular Input: Swings, Balance Boards, & Rockers! Sensory Toys for Proprioceptive Input: Weighted Blankets, Crash Pads, & Sensory Tunnels! Thanks, Anik! I hope parents will find it useful. I am so excited to start making some of these things for my daughter. Thank you so much for putting together this list. That's great, Joanna! What are you going to make first? I totally want to make the rainbow rocker! So many great ideas! I MUST run to the fabric store! Excellent work. You should! I know you love to sew! This is very helpful!! Pinned this fabulous resource! I made a no-sew crash mat out of body pillows and multiple sleeping bags. Just wanted to share for other's like myself that may not have a duvet cover around. This one ended up being about a foot thick and slightly thinner than a twin sized bed. My little one is 3 so this is a perfect size for him right now and can handle his roughness. As he gets older (bigger!) I will probably have to make a larger one like you have with your duvet cover! I love that idea! I think you can even unzip certain sleeping bags and attach them together to make a double sized one. Might be something to look into!